I had an early flight when I left, so I needed to find a hotel near the airport. 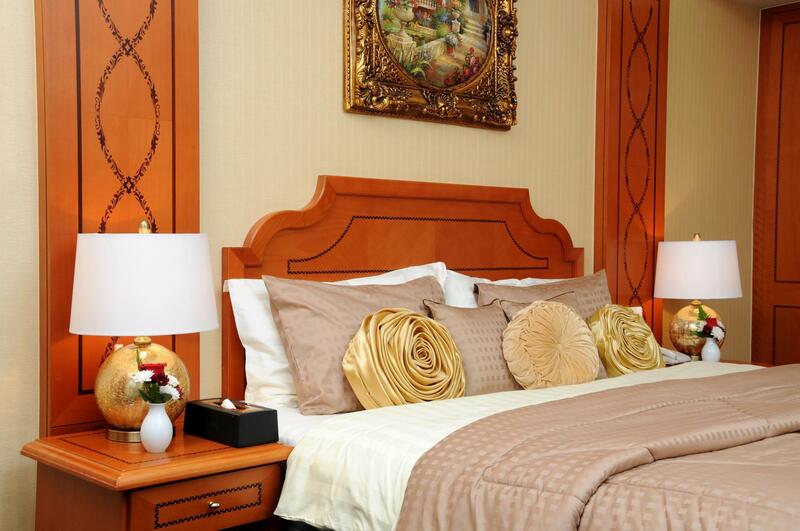 The hotel is about 10 minutes walk to the Metro station and it is a few stations away from the airport. Metro start running from 5am, it is so convenient. The bed is spacious and comfortable. The staff are friendly. Good value for money. Rooms are clean and spacious. A special thank you to Nasser from reception who made my mom and I feel welcomed from the start as well as Rafeek and Altaf who were very helpful. Sure will use this hotel again. 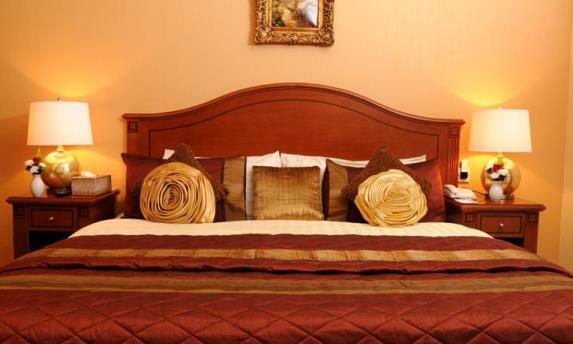 Had a short but wonderful stay in this hotel, i like the set up of the room specially the one we had in apartment it was beautiful and big, i would like to extend my appreciation to Ms. Harlene and Mr. Moustafa in reception for very accommodating during our stay. highly recommended to everyone! Very nice and spacious room! With complimentary arabic tea and dates, coffee, tea and water. With adaptor and everything that you need. 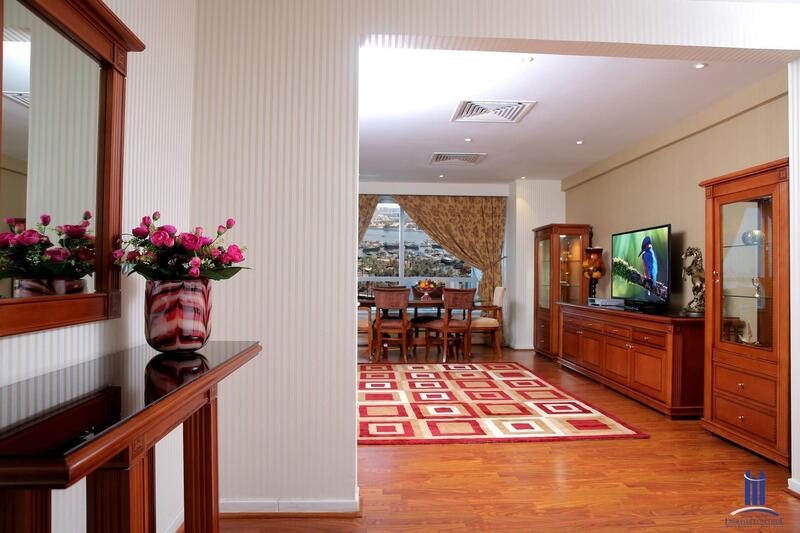 Has a functional wifi, good condition of amenities such as pool, gym and sauna. Staff are very accomodating and helpful. Thank you! we only stayed for 5 hours and luckily we received a free room upgrade. the room was clean and huge for two. The staffs are very helpful and approachable. we had a nice stay! keep up the good work guys! The management staff is incompetent, and they are not very helpful. I had an issue with my door key. It stopped working, and then the door stopped responding. The key reader to the room didn't recognize a key whether it was the master key, the room key, or the wrong key. I waited outside of my room for more than two hours because it took the staff two hours to put their brains together to realize they should kick the door in. I figured that out before the maintenance man did. I just had watch and watch and watch as i grew more frustrated. I booked another room with aanother hotel because they were taking to long to resolve the issue, and o needed a room that would allow me to have a guest. Per their hotel policy, you cannot have a guest that is not family, a spouse or does not share the same name as you. That's unusual. They didn't refund me for my last night because they said they offered me a suite. Yeah, that was after I already booked a room, and I no longer needed it. The hotel is spacious, staff is very friendly and they have actually arrange for airport transfer for us without fee. However, it's abit further from Metro station and if you are taking taxi, no worries with that! Staff couldn't be nicer as they honored my early check-in request after a long flight. Hotel is a bit dated but the rooms are comfortable, breakfast is good, and location is good - a 10 min walk to metro. Concierge was not so knowledgeable on bus options to Abu Dhabi but I got that quickly resolved and they were great otherwise. Would definitely recommend as a reasonably priced option. 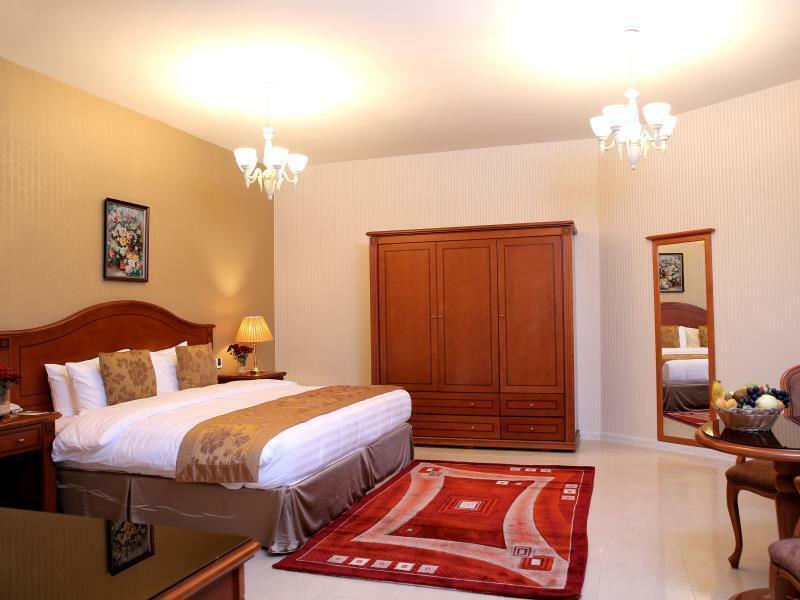 It nice accommodation place in Dubai, where enough room space for all family members can be arranged in two bed room apartment. It is near to a lot of truism events and locations. Highly recommended with reasonable price !! Wifi is working well and breakfast is buffet with great variety. But a lot of security camera/check and scrutiny make it feel like under surveillance at all time. Ramadan period make the whole trip experience uncomfortable as has to remember not to drink water in the public area. Wish the swimming pool don't have to close so early at 7pm while other Dubai hotels open till late at 10pm. It was a wonderful stay in Emirates Concorde Hotel and Residence. We had to check in earlier than expected since we arrived early and the attending staffs upgraded us to a 3 bedroom apartment and i only had to pay a minimal amount. I really appreciated the gesture. The location is superb. 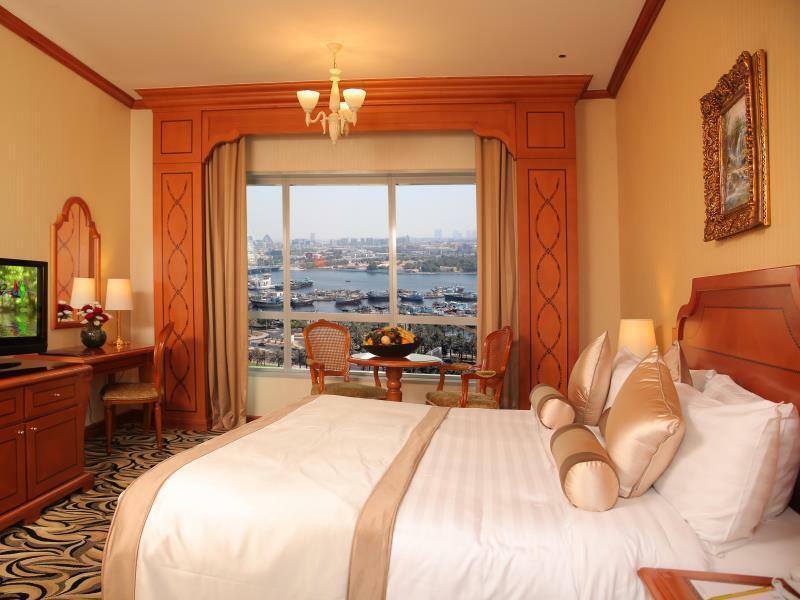 The hotel is located 7 mins away from Al Rigga Metro Station which is a major advantage due to expensive taxis in Dubai. The staff is very courteous with a willingness to go an extra mile for their guests. Definitely staying here again. Families Super Market is 2 mins away with a couple of eateries near by. Hotel was brilliant. Fantastic customer service. They upgraded us to a suite which was excellent. Staff were kind and helpful. Thank you to all the staff for providing an amazing unforgettable experience. Rooms were big and bathroom was clean. Would definitely recommend the suite and the hotel. Everything was top of the range and above standard of a 4 star hotel. i requested for a non-smoking room but was given a smoking room instead. had to wait and searxh for the room twice before I get to be in the correct room. But, there was a signage below the TV and it says that smoking is prohibited in the room. there are restaurants on the GF, price is slightly high. Convenient because there's a pharmacy, supermarket available for family especially those staying at the apartment. But beware of the massages / spa services. They are expensive and their service is just so so. สถานีรถไฟใต้ดิน Al Rigga - ระยะ 0.49 กม.